Green building policy and regulation in Europe and Ireland is changing fast. IGBC is at the heart of creating and inputting into how we regulate for a better future at both a national and a European level. We believe in collaboration with Government to achieve shared goals providing the industry’s experience to achieve workable and effective policy change. It is not just regulations but the overall context, incentives and policies that are in place that can enable a faster move to a decarbonised built environment. At a National level we work with the key departments to ensure that workable policies help a move to greener practice. 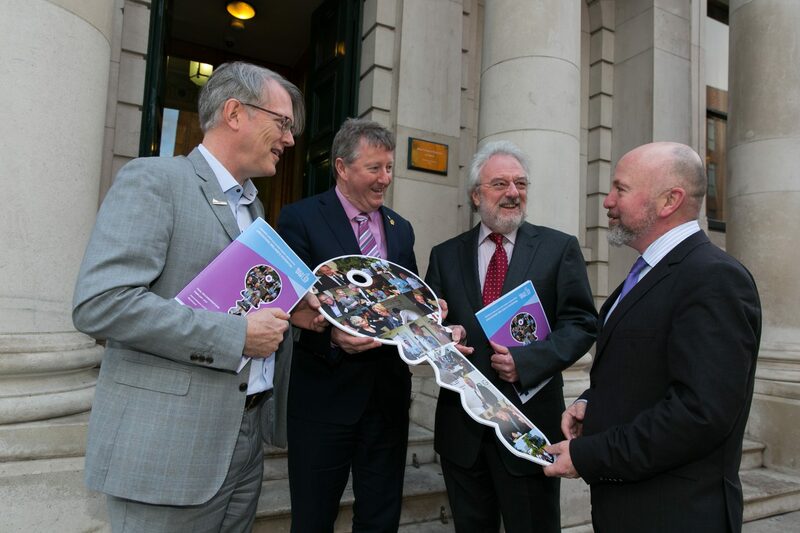 For over two years, we worked in close cooperation with the Department of Communications, Climate Action and Environment (DCCAE) through the Build Upon project to build a community of experts and stakeholders to develop an ambitious national renovation strategy for Ireland. 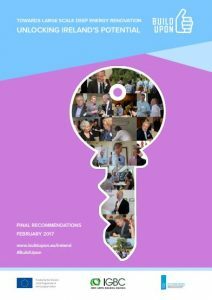 This led to the publication of a final set of recommendations for a better national renovation strategy in February 2017. At a European level IGBC works with the European Regional Network of 30 national Green Building Councils to work with the European Commission to achieve change at a pan European level. The IGBC is raising awareness nationally of the fast approaching NZEB standard whereby the European Energy Performance of Buildings Directive Recast (EPBD) requires all new buildings to be Nearly Zero – Energy Buildings (NZEB) by 31st December 2020 and all buildings acquired by public bodies by 31st December 2018. 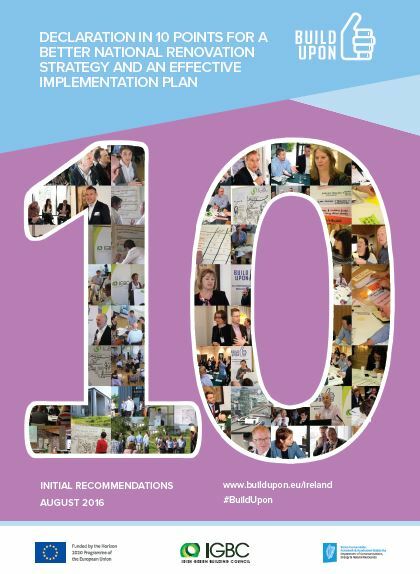 The Irish Green Building Council launched last week – 23rd February – its final set of recommendations for a better national renovation strategy. The Irish Green Building Council is the leading authority on sustainable building in Ireland. 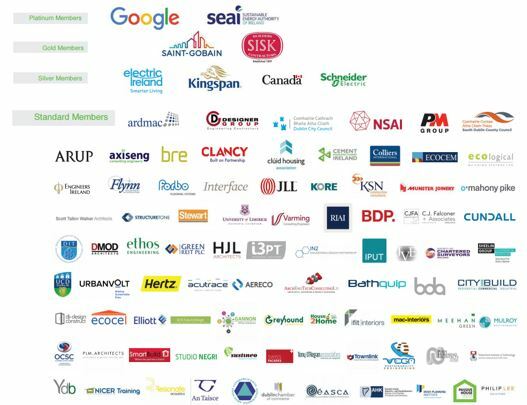 With a network of over 100 member organisations, the IGBC is working to transform the Irish construction and property sector into a global leader in quality and sustainability.